Withdrawn between Harrow Weald and Watford Junction - this section replaced by new 258. HD operation converted to Swifts. Sunday shopping service to Wembley Market introduced. Mon-Sat double deck operation introduced. 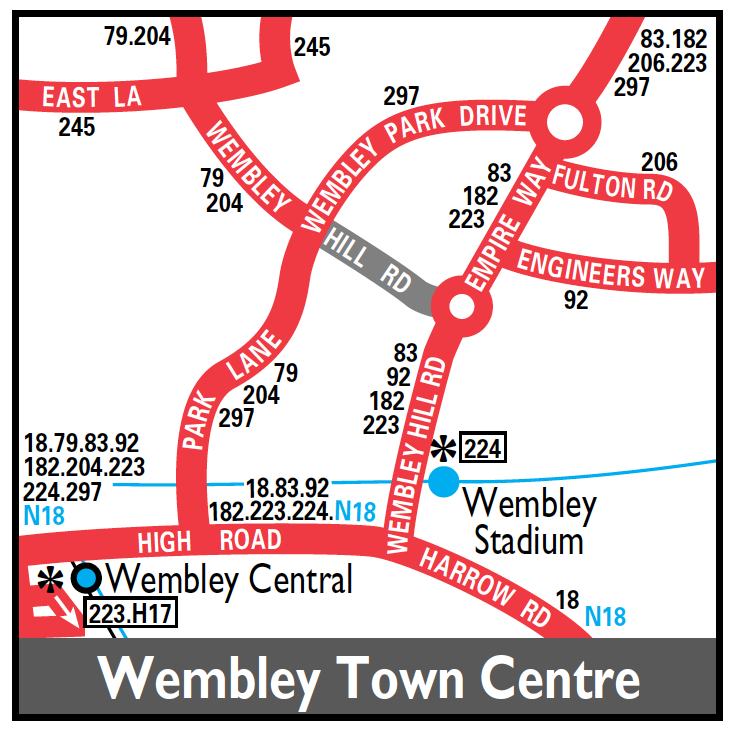 Mon-Sat extended from Wembley to Brent Cross at the times shown above. Withdrawn between BRENT X Shopping Centre and Station. SMS type replaced by Leyland Nationals at Harrow Weald (HD). 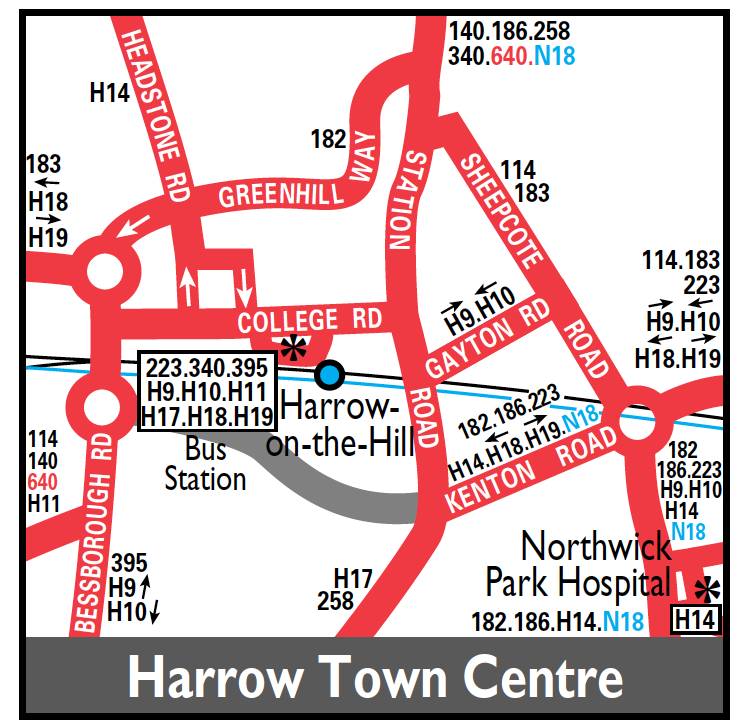 Sunday only Harrow Weald (HD) allocation withdrawn. Operation transferred to Metroline (HD) under LRT tendering process. Mon-Fri peak journeys to Wembley Trading Estate withdrawn. Wembley terminal changed to Town Hall. Mon-Sat evenings and Sunday extended from Brent Town Hall to Neasden. M1034 seen in Wembley High Road ? Sunday shopping hours extended from Neasden to Brent Cross. Extended to Oxhey Lane replacing H15 and converted to low floor operation. New contract commenced - two way working in Wealdstone High Street introduced and frequencies increased.